Betta fish are always a nice addition to any home whether it's for admiring as decoration, or as a family pet, but even the low maintenance upkeep of a pet fish can be a pain when you need to worry about cleaning the aquarium. If you have kids, don't expect them to do it, or at least not properly! 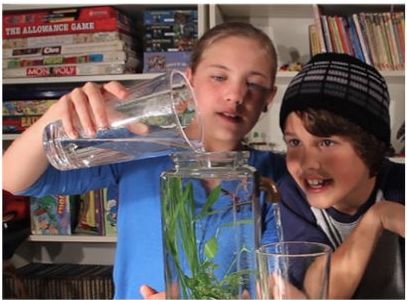 Now you can avoid disasters, messes, and the heartbreak of a sick fish (and crying kids) with an aquarium from NoClean Aquariums. Before you think it sounds too good to be true, let me explain. NoClean Aquariums are based on nature, using no cords, batteries, or filters. All they use is physics! In an aquarium, dirt tends to sink between the rocks and gets trapped at the bottom in a special reservoir. 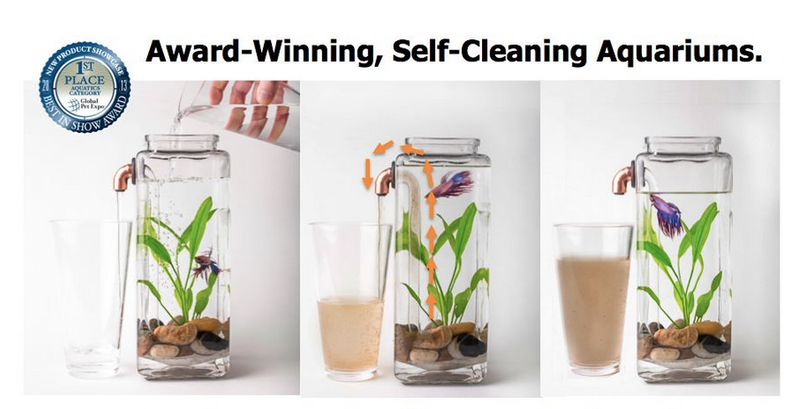 But with NoClean Aquariums, you just pour clean water in and the Hydrostatic Equilibrium Self-Cleaning System goes to work, forcing dirty water up the tube and out of the aquarium! Don't worry about a spill because it shuts off when the water reaches the right level. And dirty water that's collected in the cup can just be poured down the drain or even used for fertilizing plants! NoClean Aquariums are a fish friendly and human friendly product. No need to worry about redecorating plants and rocks or even removing your fish! That alone can be traumatic for a fish. Imagine how little work goes into cleaning the aquarium once you have a NoClean Aquarium! This is a great way to to teach kids responsibility, and it's so easy they can certainly do it right every time! It only takes a minute. This is also great for dorm rooms and the office, where you don't have time or resources to properly clean an aquarium. I received a NoClean Aquarium and it's soooo convenient! It's quick and easy to set up and all you need is the fish, rocks and plants, food, water conditioner, and some water. I'll be getting a Betta fish over Christmas so I'll be sure to show you how he looks in his easy-to-clean aquarium! !